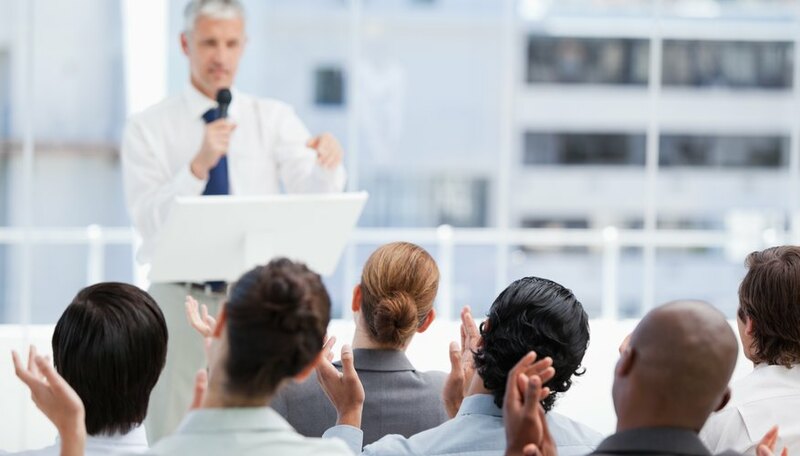 For people who are required to sit through many presentations for work or school, the standard slide-and-lecture format can get stale quickly. By adding interactive elements to a presentation, you can keep your audience interested and engaged. As you plan ways to bring listeners into the presentation, choose things that support your purpose and suit the audience. During most presentations, audience members sit and listen to the speaker. Break the spell by providing items to pass around as you speak. Look for items that will be a physical example of what you are talking about: a prototype, an irregularity in a machine part or a sample. By giving the audience a tangible piece to hold and turn around in their hands, you can provide a valuable, memorable experience that reinforces the points in the presentation. 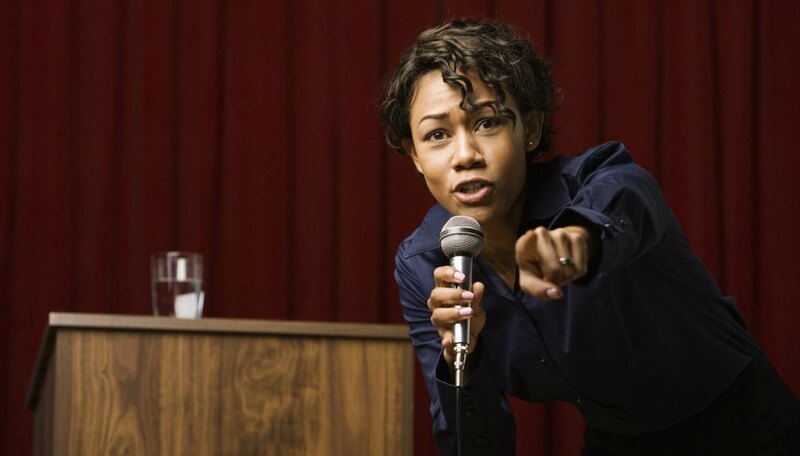 During long presentations, catch the attention of your audience by getting them up and moving around. Use role playing to help illustrate the concepts you are presenting; this works best with topics that include human interaction, such as management skills or conflict resolution. By getting people up on the stage, you can get everyone else to pay attention to see what will happen to their colleagues. Role playing is particularly useful if you choose people who are higher up on the corporate ladder because their subordinates will enjoy watching the way their managers and bosses react. 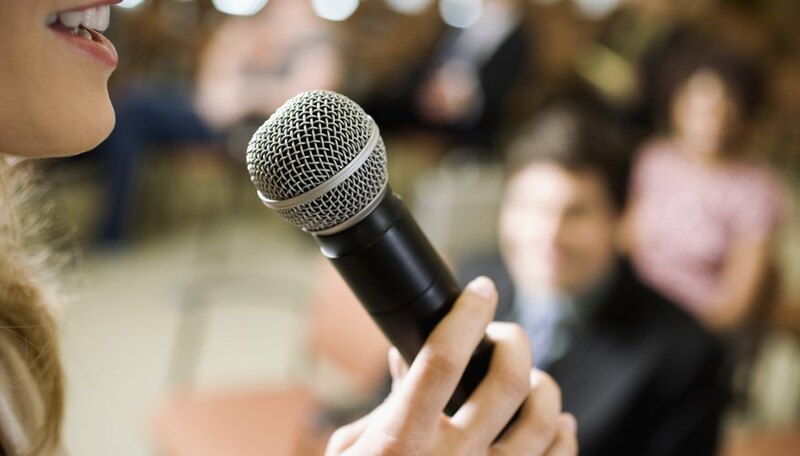 During a presentation, your listeners will pay more attention when you connect the topic directly to things that matter to them. Before the presentation, research the company and the audience to get information about their business, manufacturing, products and common challenges. Pose a situation that could happen in your audience's company as part of your talk and connect it to your important points. Ask for questions and input and request that people give specific examples when they challenge or agree with you. Starting a relevant discussion can be both entertaining and informative. Social media can be a powerful way to promote interaction during a presentation, both by onsite and remote attendees. 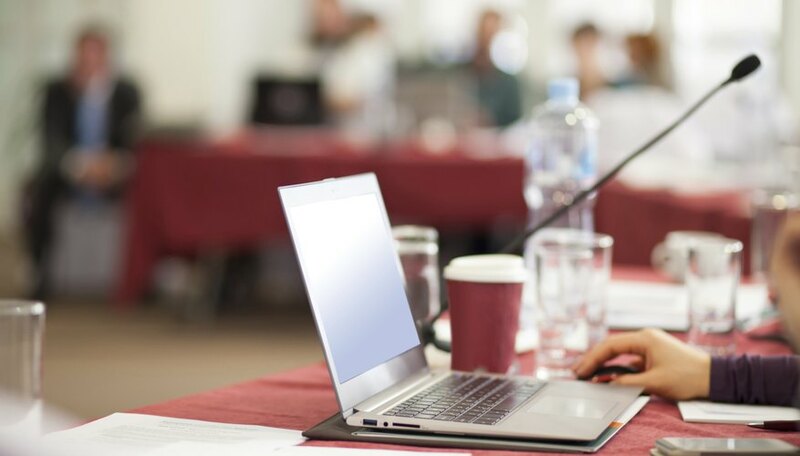 Stream the presentation live on the Internet, have someone live blogging or posting about the presentation and post highlights to your social media profiles. Take questions online and work them into the live presentation. In doing so, you can allow people who can't be there in person to participate and generate a bigger audience.